Montique McLean is accused of failing to get her 14-year-old son proper medical care after she said he was bitten by an opossum in the basement or backyard of their new home. "My kids said they seen possums in the basement," said McLean who told 7 Action News that she did everything a parent is supposed to do when she said her son's feet were hurting. 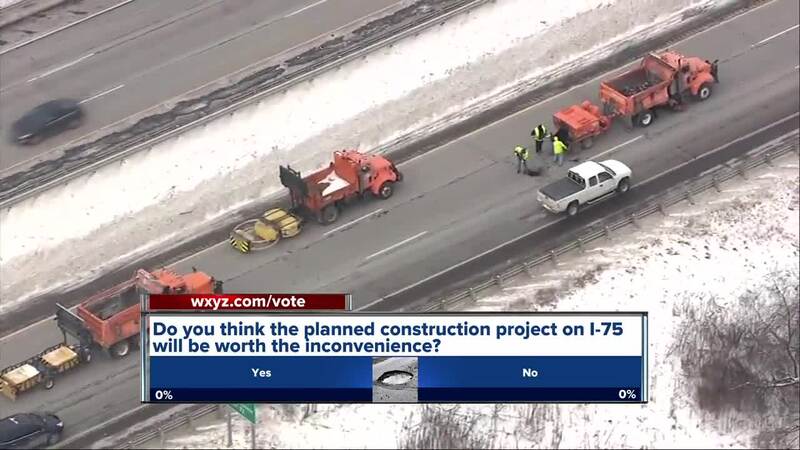 (WXYZ) — It is a long overdue project. I-75 from I-696 north through the City of Troy to Square Lake Road is still the original freeway, built in the 1960s. We’ve seen this winter the compromised concrete is crumbling, causing potholes. More are expected as the weather warms up. Dozens of people have been disabled. And with work crews we’ve had long backups. State transportation officials are calling this a modernization project. A new road will be constructed from 13 Mile north to Coolidge. The northbound side will be done this year, starting in March and run through the fall. The southbound side will be done next year. The freeway will also get an extra lane for HOV or carpool vehicles to travel during rush hour. During construction both directions will remain open. The lanes will be shifted to one side or the other with two lanes in each direction. The price tag is $224 million dollars.